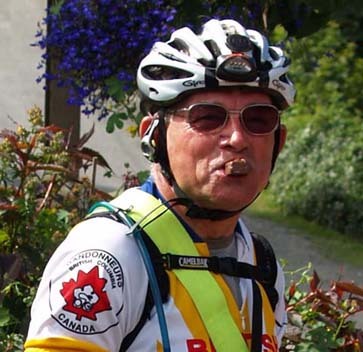 * Washington state resident Charlie White's 1500 BC kilometres was not in the form of a Super Randonneur series, and so he didn't meet the residency requirements for the Hathaway award. This means his non-BC distance (2100) doesn't count for the purposes of this list. But we'd like to acknowledge it anyway... 3600 km total - nice going Charlie!